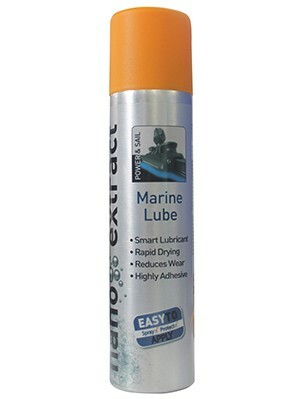 Smart lubricant that can be applied on various moving parts on boat, from engine to deck equipment and rig, providing optimum anti-friction properties. A protective film from the smart lubricant is non-greasy and will not attract dust, dirt and other soiling. USE IT HERE: Engine parts, travellers, furlers, mast tracks, genoa\/mainsail tracks, blocks, hatches and sliding doors, plus many other areas that need lubrication.